All KISAR members meaning to attend the weekend training on 4th of July Peak on April 27-28 must have attended the April 18 general meeting and must also attend the USCG helicopter orientation at Hangar 3 on the USCG base on Thursday April 25. We will coordinate (via email) carpools to the main base gate where we will rendezvous with base personnel at 7:00 PM. We will discuss the weather forecast at that time and make any needed amendments to the weekend training accordingly. GCI very generously made a donation to KISAR in appreciation for KISAR’s role in the community keeping our residents safe. With the State of Alaska no longer providing training funds to local volunteer SAR organizations around the state, the donation was doubly appreciated and very timely. Thank you GCI! KISAR will hold its monthly general membership meeting on Thursday April 18 at 7 PM at Bayside Fire Hall. The main topic of discussion will be the upcoming April 27-28 training with the USCG Air Station and the instructor Blaine Smith. 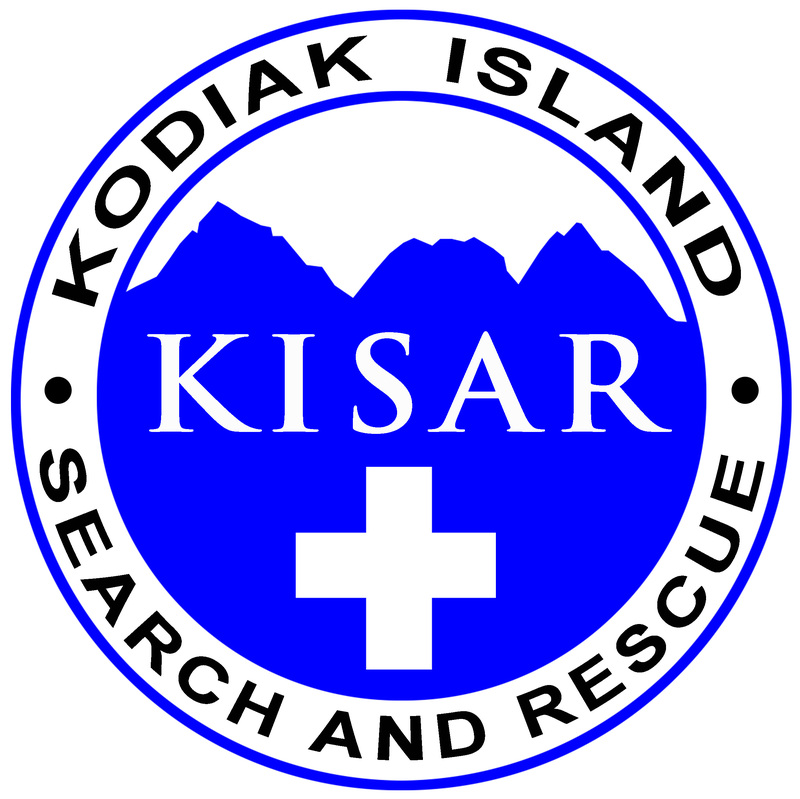 Weather permitting, the training will involve some KISAR members and Blaine hiking to the KISAR hut site on 4th of July Peak and setting up a SAR scenario. Other KISAR members will respond to this simulated call-out and muster to the USCG Hangar 3 at 0800 on Saturday April 27 to be transported via helo to the training site. Once the responders are assembled, they will work through various patient packaging and transport scenarios, set up ropes and practice general mountain safety, and ultimately hand the simulated patient off to the USCG helo. Members who are able are encouraged to spend the night up at the KISAR hut site on 4th of July Peak for further training on Sunday. There is a lot of snow at the hut site and snow travel and safety gear will be required. Other gear needs will be discussed at the Thursday April 18 meeting. KISAR will hold it’s general membership meeting at 7 PM Thursday, March 21 at Bayside Fire Hall. Among other topics, we will be discussing the upcoming training scheduled for Saturday, March 23. 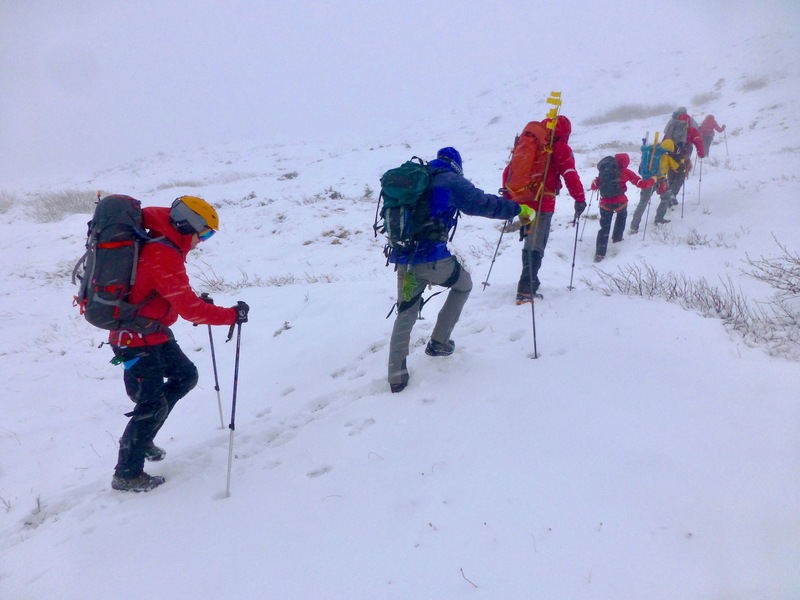 The March training will cover general winter mountaineering skills like setting up shelters on snow, safe and effective crampon and ice ax use, setting up snow anchors, and related topics. All KISAR members are encouraged to attend both the meeting and the training. On Saturday February 23, KISAR members set up a high-line litter lowering system for complicated cliff rescue near Fort Abercrombie State Park Ram Site under the guidance of John Sikes. We established the tension-adjustable high line which acted as a tram cable the suspended litter and litter attendant traveled down. 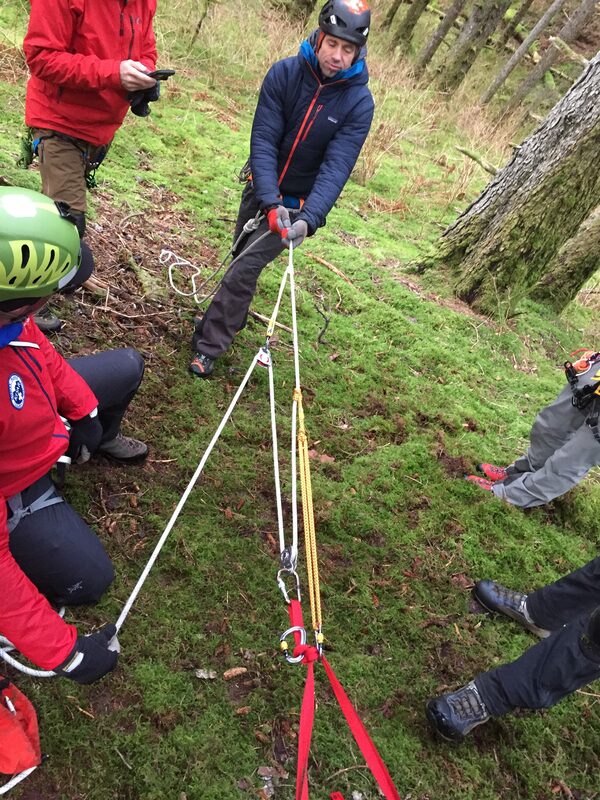 A main line controlled the rate of descent and a belay line provided a backup. It represented a more complicated rescue scenario than we would typically expect, but offered a lot of interesting rigging challenges and concepts that John expertly walked the members through. Excellent weather and a beautiful site to practice made the training a lot of fun. KISAR will hold its general membership meeting at 7:00 PM at Bayside fire hall this Thursday, Feb 21. The meeting will be very short. Following the meeting John Sikes will walk us through what to expect from the training on this coming Saturday (Feb 23). The plan for Saturday is to rig a high line lowering system to help a litter negotiate a complex cliff face. Skills will include rigging a high line, a lower system with a main and modified belay line, and rigging a litter with an attendant. These concepts will be illustrated on the white board in the fire hall on Thursday evening. We will also continue to practice clear communication between members on the rope system. All members are encouraged to attend both the orientation on Thursday evening as well as the field practical on Saturday. Following the general membership meeting Thursday, January 17, Philip T presented a slideshow lecture on avalanche transceiver theory and use. The following Saturday, January 19, KISAR led an on-snow field practical on avalanche beacon search techniques for locating buried victims. Topics covered were basics of avalanche scene assessment and then initiating a rescue using beacon signal search, coarse search, and fine grid search. Single and multiple burial scenarios were covered. We also practiced avalanche probing techniques and efficient shoveling strategies. KISAR will have its January general meeting at Bayside Fire Hall at 7 PM on Thursday, Jan 17. One of the items on the agenda will be officer elections. 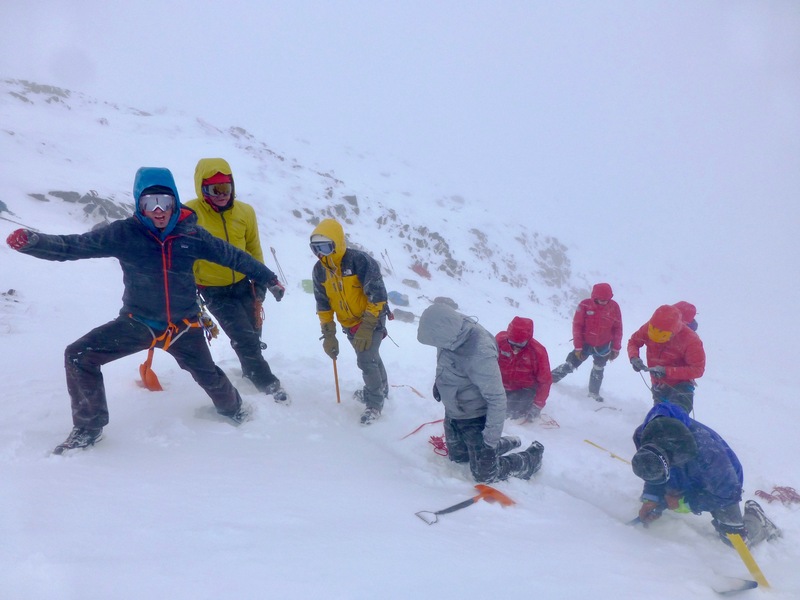 Following the general membership meeting Philip will present a primer on avalanche transceiver use that will lay the groundwork for the scheduled outdoor avalanche rescue training on Saturday, Jan 19. Joe Stock from the Alaska Guide Collective in Anchorage came down to Kodiak for 4 days of avalanche and ropes training with KISAR. Joe gave a public avalanche safety and awareness seminar at the Kodiak National Wildlife Refuge visitor’s center on Thursday. He then spent Friday at the Kodiak High School speaking with students about avalanche safety and awareness. 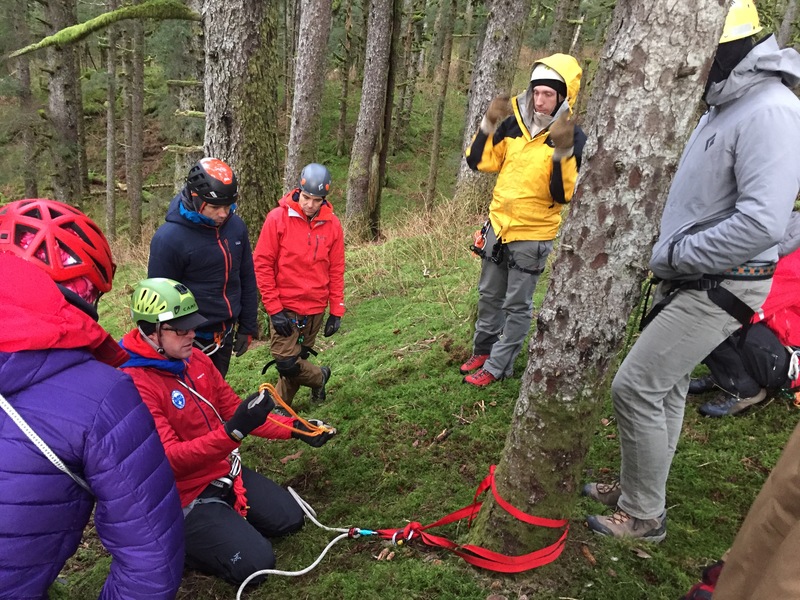 Over the weekend Joe led KISAR in a rope rescue rigging training first at the end of Monashka Bay Road on Saturday, and then on Pyramid Mountain on Sunday. Skills covered were avalanche transceiver use, knots and safe anchor systems, lowering a rescue litter (basket) and attendant on a main line with a secondary safety belay backup, and then raising the litter, attendant, and a patient back up the slope via a “Z hoist” with a 3:1 mechanical advantage. Similar topics were covered in inclement weather on Pyramid Mountain and also included setting snow picket anchors and equalizing them.